My Memphis Mommy: Julep Diamond Mystery Box - $150 worth of Beauty Products only $24.99! Julep Diamond Mystery Box - $150 worth of Beauty Products only $24.99! WOW! 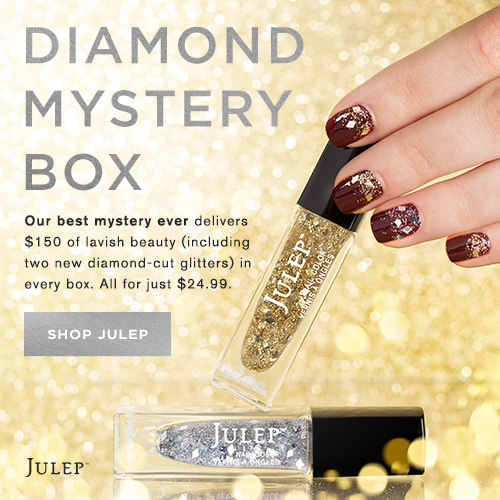 Now through November 13th, save big on this month's amazing Diamond Mystery Box from Julep for only $24.99 with $150 worth of products. An exceptional value that is going fast! These would be great stocking stuffers, teacher gifts, gifts for the sitter... and I'm sure you can think of someone else on your list that would love a little Julep.